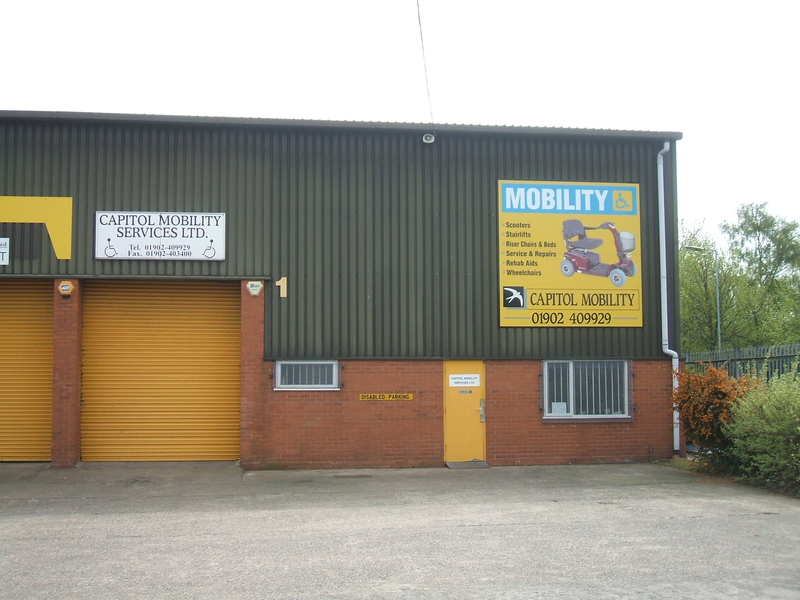 Capitol Mobility Limited have been providing Scooters, Stairlifts, Rise/Recline Armchairs and Beds, Wheelchairs, Bathing aids, Rehabilitation aids and many other different Mobility products plus first class caring servicing and maintenance for the elderly, infirm and disabled throughout the Midlands since 1990. Our 3 Branch showrooms are in Solihull (0121 275 3409) Where we have a large covered parking bay, this is a real for our customers, as there is no need to get wet getting in or out of your car! Bilston (01902 461044) and our ‘Realcare’ shop is in Sheldon, Birmingham (0121 275 3406). See our 'Contact us' page tab above for addresses and other information. Between all the staff and engineers in our showrooms and workshops there is over 70 years of care and assessment, engineering, maintenance and customer service experience in the Mobility industry. We're organised to stock and provide quickly high quality new Mobility aids and equipment as well as a range of 2nd user products. Everything with full guarantees, all at affordable prices. (Finance is available including 0%, subject to status). Supplying the most reliable equipment and providing quality back up services for customers throughout the Midlands is what we've been doing for years. Most charities, local assessment centres or mobility professionals will be happy to give us a reference. We’re happy to deliver or install equipment with our own engineers anywhere within about 60 miles or 1½ hours travelling of any of our service centres (so we can give speedy attention and good service if and when needed). Outside of that large Midlands area we arrange the same level of service with local 'partner' companies. 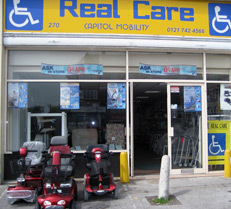 Capitol Mobility supplies and services all items, large and small:- Mobility Scooters, Stairlifts, Bathlifts, Rise/Recline Chairs and Beds, Walkers, Electric and Manual Wheelchairs, bathing and rehabilitation aids. Available to private individuals, local authorities, charities and the NHS. Our existing customers include thousands of individual private customers plus Shopmobility Schemes, The Royal British Legion, SSAFA (Soldiers, Sailors Airmen and Families Association), Age UK, Disabled Living Centres, RAFA (Royal Air Force Association), The National Health Service, BUPA, The Employment Service for Disabled People, Birmingham International Airport and many private residential, nursing and care homes as well as those run by local authorities. Straight and Curved Stairlifts from Minivator, Stannah, HomeAdapt, Bison Bede and Brooks. Rise and Recline Electric Armchairs and Beds from Pride, Kelcol, Repose Furniture, Drive Medical, NHC Technology and more. 2nd user models; (mainly Scooters, Stairlifts, Manual and Electric Wheelchairs bought in or part exchanged) are also available with full guarantees. We will service and repair almost all types and makes of mobility equipment either at our workshops or at a customer’s home. 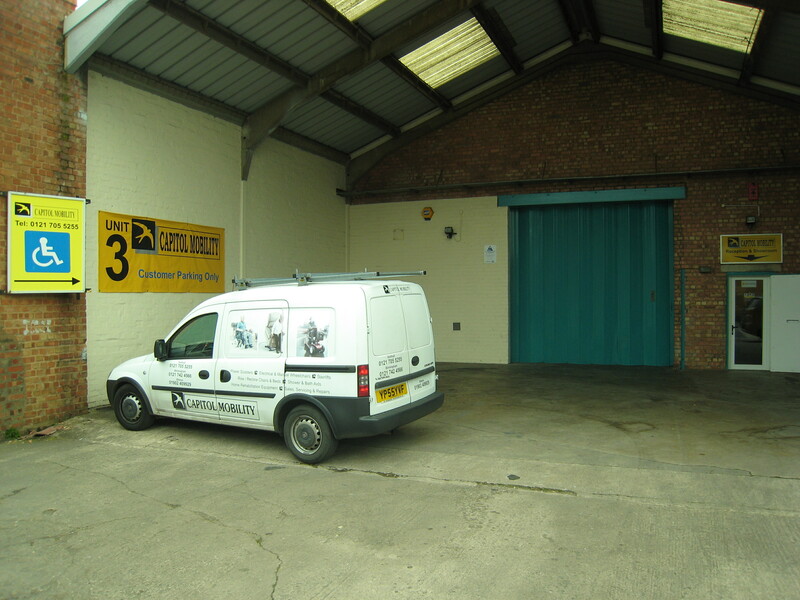 There is 24 hour, 365 day, out of normal working hours call out available for our service customer's Stairlifts. Capitol Mobility aims to provide the best quality, most reliable Mobility products at the most economical prices with the highest standard of customer care and backup service.